Located on the ground floor of the White House, the China Room has served many purposes over the years: a storage closet, a reception room, and a game room. Now it serves as a place for small receptions, meetings, or teas, but it's most famous for being the chamber where the White House's collection of state china is displayed. The China Room during the Clinton Administration. Public Domain. The first official presidential service came about during the Monroe Administration (1817). The dishes came from France, crafted by Dagoty & Honoré of Paris, at a cost of just over a thousand dollars. The red-rimmed pattern showcases an eagle surrounded by symbols strength, commerce, the sciences, agriculture, and the arts. Through the years, Presidential china was not kept for further use, much less posterity. Damaged china was sold or donated, and functional pieces were often auctioned off at the end of an administration to help pay for new china. After becoming first lady in 1889, Caroline Harrison put a stop to such practices. She started to collect and store china from earlier administrations, and she displayed the collection in the White House's private Family Dining Room. Mrs. Harrison's china. Public Domain. A talented artist, gifted in watercolors and painting china, Mrs. Harrison also designed a set of china for the White House. She placed the Coat of Arms of the United States in the center of the plates, surrounded by a band of blue with a goldenrod and corn motif. Sadly, she died before the china was delivered to the White House. At the turn of the next century, Edith Roosevelt collaborated with journalist Abby Gunn Baker to research the collection of White House china and recognize the pieces as historic artifacts related to the Presidency. They moved the pieces to a room on the ground floor which had been allotted space for a gallery during the 1902 renovation of the White House. In 1917, Edith Bolling Wilson noted the lack of space for the growing collection. While Abby Gunn Baker continued to research the collection, White House Chief-Usher Irwin Hood Hoover assisted Mrs. Wilson in finding a new home for the china collection. They chose the chamber next to the Diplomatic Reception Room and called it the Presidential Collections Room. Built-in cabinets were built to display items, including china. During the Truman renovation (1948–1952), pine timbers salvaged from other areas of the White House were used to panel the walls. Jacqueline Kennedy had the paneling glazed in three shades of gray during the early 1960s, and the cabinets were lined with the red velvet to match the gown worn by First Lady Grace Coolidge in a 1924 painting by Christy which hangs in the room. First Lady Pat Nixon redecorated the room in 1970. The walls were painted off-white, but red continued to be the accent color. The collection of dishes, glassware, crystal, and other tableware is displayed according to its chronology, starting to the right of the fireplace. Each president is represented, although not every administration designed or received a state service; personal china is also shown. Today, a few pieces are also on display in a cabinet in the Ground Floor Corridor, and the rest of the dish sets are glassware are kept carefully in storage--but the dishes do not molder away. They get used. The Reagan Service. Public Domain. Even the oldest dishes are used by presidential families. The Clintons are known to have used the Hayes set of 1879, perhaps the most unusual set in the White House Collection. Artist Theodore R. Davis suggested to First Lady Lucy Hayes that the nation's flora and fauna should be incorporated, and before he was finished, he created 130 designs, some of them in nontraditional shapes. Produced by Haviland for $3,120, reproductions were popular with the public at the time. Oyster plate: one of the more unique pieces of the Hayes China. Public Domain. The Carters and Reagans, however, both enjoyed using the Lincoln "solferino" (purple-rimmed) service for special occasions. Apparently they are not alone in treasuring the Lincoln solferino. 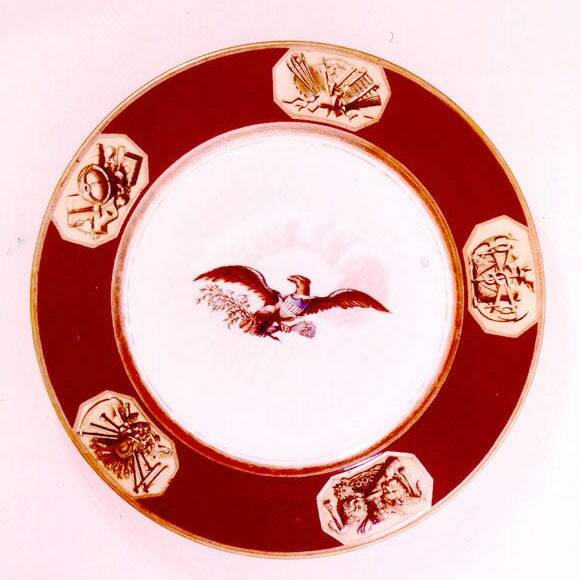 In 2009 collectors could expect to purchase White House dishes at auction for between $4,000 and $6,000 a piece--not a place setting--but the Lincoln solferino china fetched over $14,000 for a single plate. Susanne Dietze began writing love stories in high school, casting her friends in the starring roles. 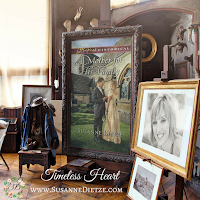 Today, she's the award-winning author of a dozen new and upcoming historical romances. A pastor's wife and mom of two, she loves fancy-schmancy tea parties, the beach, and curling up on the couch with a costume drama and a plate of nachos. 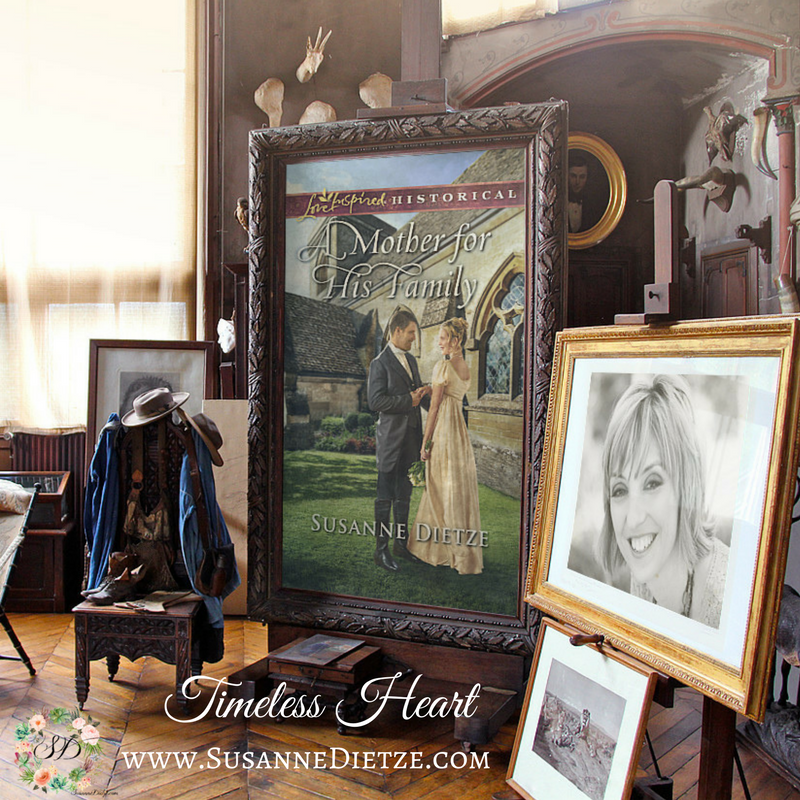 You can visit her on her website, www.susannedietze.com, and read a sample of her newest book, A Mother For His Family. This was very interesting. I love the historical treasure that this is! I do wonder, however, at spending the money for china that doesn't arrive while the person is in office!!! Hi Connie! I think all of this is a treasure, too--and I also wonder about the cost! However, I believe they are paid for by private funds, not taxpayer dollars. I will have to look into it! Oh, Susanne, thank you for sharing this interesting bit of historical information on the china in the China Room at the White House. I love the pictures you included, the china pieces are beautiful. Hi Mrs. Tina! I am so glad you enjoyed the photos. I wish I could have included more, but several are copyrighted. I think dishes are an interesting way to see how people ate/lived in the past. Suzanne, this was a fabulous post with the pictures and history of china in the White House. Thank you for sharing. Blessings. I'm so glad you enjoyed it, Marilyn! I enjoyed learning more about the room and the china stored there. Thank you for sharing your very interesting post, Suzanne. I can't believe it's been five years since my blog on this. Good to see it here again since we have so many new followers. I lived in Washington D.C. back in the late 1940's and toured the White House as an eighth grader on a history class field trip. I saw the dishes first hand and it was impressive. I also have a picture of the room. Some pattern's are much prettier than others, and Polk's China was most unusual because it was floral and didn't really look like any of the others. Thanks for new insights into a great topic. Thanks for sharing this, Susie. The first time I heard of the China Room was while watching the movie, The American President starring Michael Douglas, Annette Bening, and others including Canadian Michael J. Fox. I have since watched it many times and wait with bated breath for the "Dish Room" scene. Just thinking about it sent me searching for the reference and I found it on YouTube, which I'll post here in case anyone else wants to get dreamy eyed in the Dish Room, too.